I have a Lenox Merit system in the house. 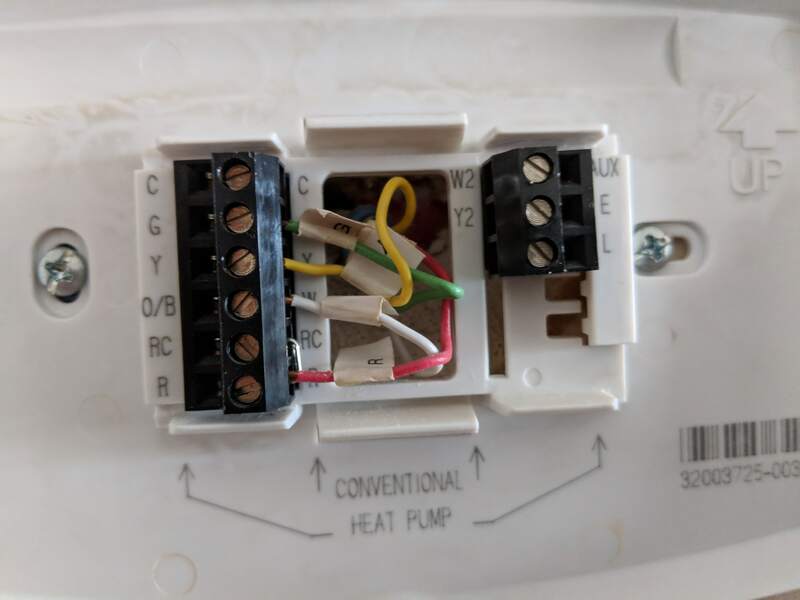 I am trying to install Nest E thermostats and want to do it with a C wire. I noticed an unused Blue Wire (pic attached) at the thermostat location and then in the attic saw that the Blue wire is not attached to the C at the circuit board. There is another wire in the C. Do I just add the blue wire in the same location ? 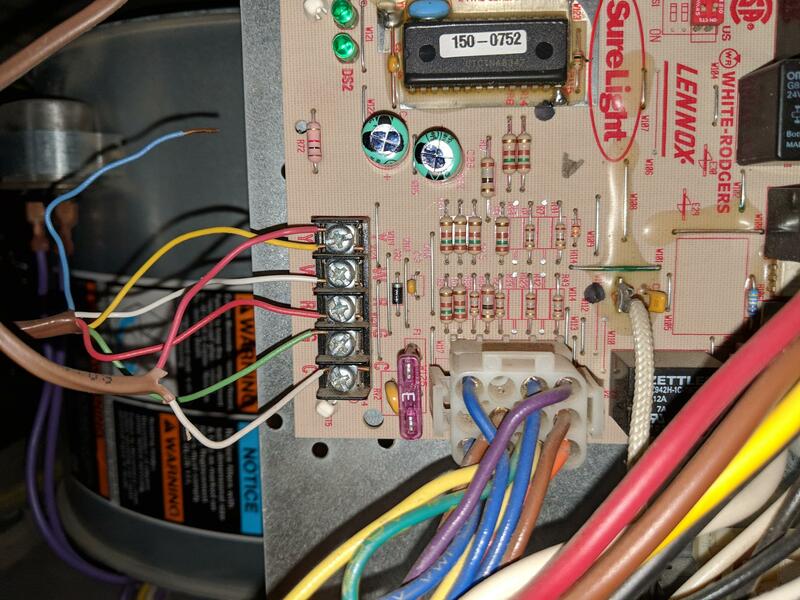 The terminal blocks on HVAC control boards can generally handle two wires per terminal, so landing the C wire to your thermostat on the furnace board's C terminal directly is fine. Not the answer you're looking for? Browse other questions tagged electrical wiring hvac furnace thermostat-c-wire or ask your own question.